UMMA has a long tradition of service to K-12 students and educators of southeastern Michigan. Over 5,000 children visit the museum each year, most in class tours. Young students tour the Museum in small groups and are encouraged to discover their own relationship with the art. Academically enriching and great fun, docent-led tours enable K–12 students to understand art, history, culture, geography, and much more. Tours may also focus on a particular culture such as monuments of China, ceramics in Korea, or American history. Alternatively they may be thematic and address units like neighbors and communities, shapes and colors, friends and family. Explore our new menu of curricular offerings for tours that integrate classroom and gallery learning. UMMA’s creative and experienced docents will always work with teachers to tailor tours to make them appropriate to the individual classroom curriculum. A docent will contact the classroom teacher to discuss the theme, content, and logistics of the tour. Docent tours develop observation skills and visual literacy, confidence and critical thinking. UMMA Docent tours are always free. Tours for school groups are available by request at least three weeks in advance. The Museum can accommodate up to sixty students in one visit. Subsidies to defray school bus charges are available. Please see Bus Parking and Reimbursement. 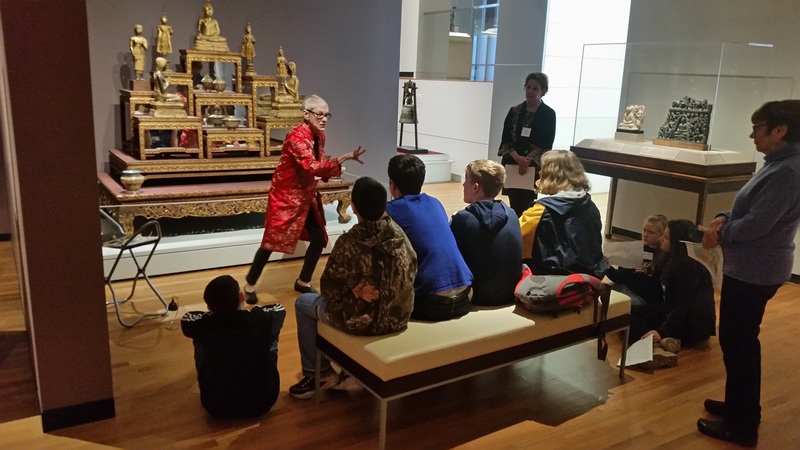 UMMA's docent-guided school tours are supported by the Richard and Rosann Noel Fund for Museum Education, Kiwanis Club of Ann Arbor, the Dr. Albert Bennett UMMA Education Fund, and other generous donors. Family Portraits: Who am I? What is a Family? My Community, My World: What is a Community? Picturing America: American History and Culture Through Art. Teachers may request that writing be used as an activity in any tour but writing and literacy may also be the focus of a tour as in the 4th grade tour above. If you wish to lead a self-guided tour, please review carefully UMMA’s Museum Visit Guidelines before bringing a class to the museum. To ensure the best experience for all gallery visitors, we require that you schedule at least three weeks in advance. 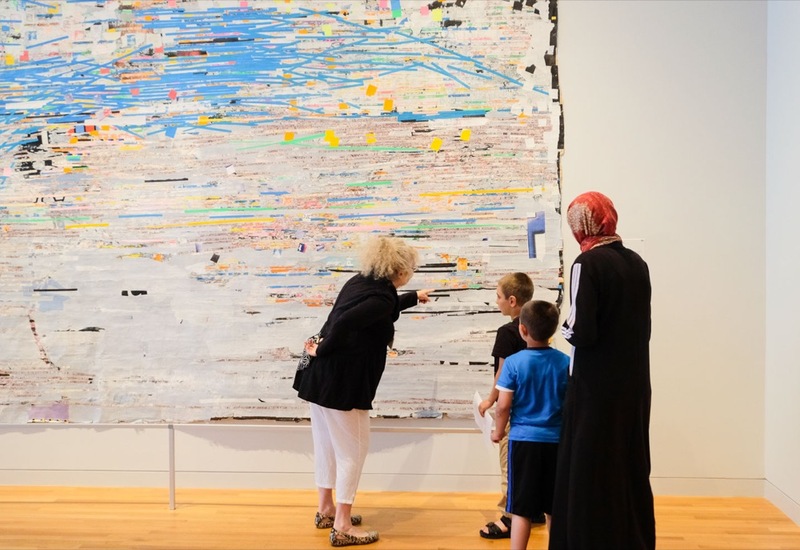 To best prepare your students for their visit, you may also wish to review what is in the galleries or check out UMMA’s public programs. Tillirnanngittuq is the Inuktitut word for “unexpected” and we believe participants in this workshop on Inuit art will be surprised to discover the bold and subtle beauty of the prints and sculpture in the exhibition, the links to contemporary concerns about the environment, and connections to the people whose lives are governed by the climate in the Arctic. 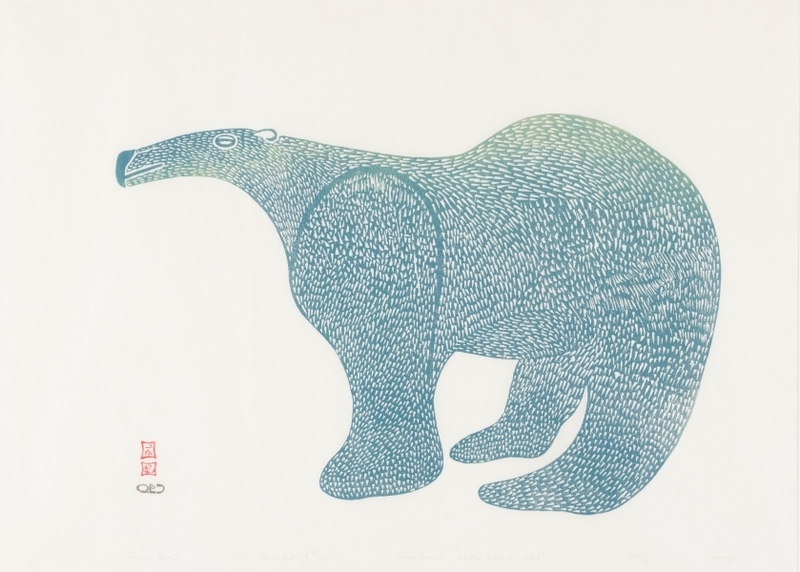 The Power Family Program for Inuit Art: Tillirnanngittuq is an exhibition celebrating the exceptional gift of 20th century Inuit art to the museum from the collection of Philip and Kathy Power, most from the early contemporary period of the 1950s and 60s. Visitors will experience innovative stonecut and stencil prints and exquisite stone sculptures of arctic animals based on the artist’s lives of attentive observation and understanding. Slightly abstracted, they possess great character and vitality, elegance of line and form. The artists illustrate not only reality from nature such as how large polar animals move, but also exquisite design choices as they multiply, overlap, and interweave natural forms. Among the renowned Inuit artists featured in this historic survey are Kenojuak Ashevak, Lucy Qinnuayuak, Niviaksiak, Osuitok Ipeelee, Kanaginak Pootoogook, and Johnny Inukpuk. Please join us for the inaugural exhibition of this exciting collection and for the presentations appropriate for art, social studies and science teachers. To encourage interdisciplinary applications we will reduce the registration fee for teachers who come as a team, art + science for example. 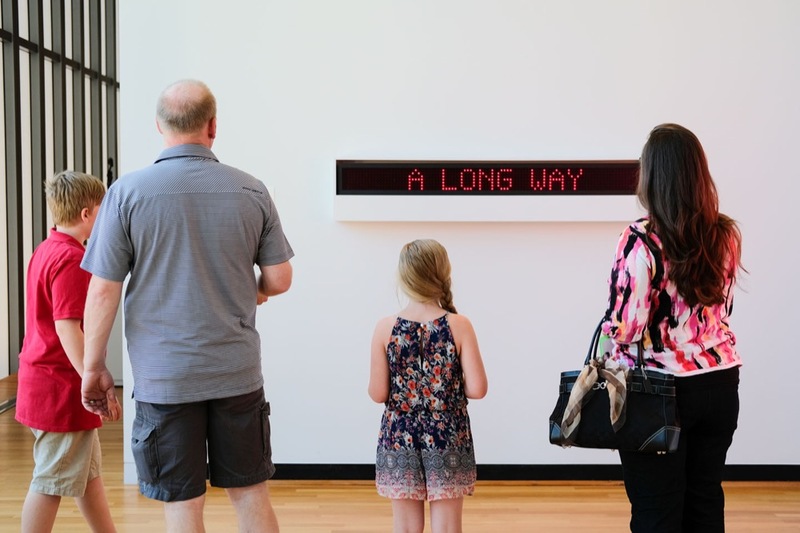 Speakers will include Marion (Mame) Jackson, curator, and Grace Vandervliet, UMMA’s Education Outreach Program Coordinator, as well as guests from environmental studies and education. Participants will have the opportunity to do a fun hands-on activity flexible enough to be used with older or younger students. As always, we will have light refreshments and include a folder of information with ideas on how to deploy the big ideas from these issues in diverse classroom situations. 3 SCECHs available: Please bring a checkbook and your PIC number to cover $10.00 for official transcript fee. Directions and parking: click here. This 4-hour (3 SCECH hours) teacher training workshop will introduce 5th-12th grade teachers to the complex issues of Middle Eastern migration and religion in Latin America, helping them to contextualize it within both regions' history and current events. This program will contextualize the political, historical, and economic relationship between Latin America and the Middle East, explore the concepts of diaspora, migration, asylum, and religion, and examine the representation of these themes in art. 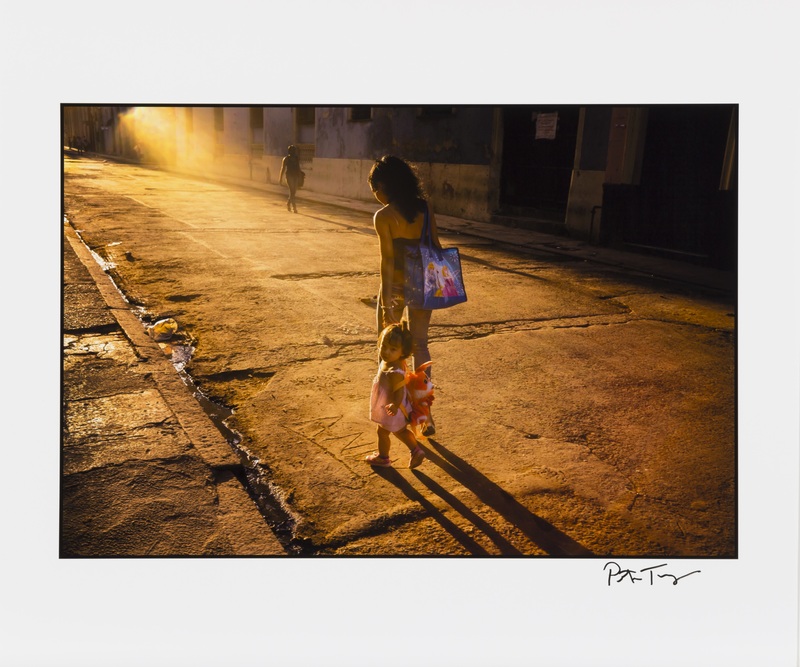 We will highlight immigrant populations in Latin America and explore the socioeconomic and demographic situations in their home countries that contribute to historical and contemporary migration flows and how this is represented in art, media, and popular discourse. Teachers will leave with a more nuanced understanding of these topics and ideas for how to make stories of migration and religious persecution more approachable for a young audience. Teachers will receive access to a collection of resources and strategies for sharing these themes with students. They will also receive copies of selected books from the regions. Ruth Behar was born in Havana, Cuba, and grew up in New York. Ruth has worked as an ethnographer in Spain, Mexico, and Cuba, and is known for her humanistic approach to understanding identity, immigration, and the search for home in our global era. Her books include Lucky Broken Girl and An Island Called Home: Returning to Jewish Cuba. Her documentary, Adio Kerida/Goodbye Dear Love: A Cuban Sephardic Journey, has been shown in festivals around the world. Juan R. I. Cole has worked for three and a half decades to put the relationship of the West and the Muslim world in historical context. His most recent book is Muhammad: Prophet of Peace Amid the Clash of Empires. He also authored Engaging the Muslim World, Napoleon’s Egypt: Invading the Middle East, and many other books. This teacher training workshop co-sponsored by the Center for Middle Eastern and North African Studies, the Center for Latin American and Caribbean Studies, and the University of Michigan Museum of Art is funded in part by Title VI grants from the US Department of Education. In order to make the UMMA experience a good one for everyone, we ask leaders of all groups to assure that students follow these guidelines. Please also be sure to share with chaperones. The Museum can accommodate up to sixty students in one visit. Kindergartners may participate in a tour during the second semester of the academic year when they have settled into the routine of schooling. Special needs students are welcome in the Museum and we can best accommodate their visit if you call ahead for any extra support you need. one per ten for older students. You will see many great original works of art when you visit the Museum. Please help us to protect them so that other visitors might enjoy them, too. If writing, please use pencils in the Museum. Please leave gum, food, and drinks behind—they are not allowed in the galleries. We know there is a lot to see! Please walk rather than run. You do not need to whisper. Visitors should enjoy talking, but not shouting, while in the Museum. We hope you enjoy your tour while focusing on your role as a chaperone to facilitate the best possible visit for students. This includes looking after the safety of objects and students. See above for safety of the art and below for hints on how to make the best possible visit. UMMA tours are interactive and we don’t mind waiting for students to think and respond. We encourage chaperones to refrain from having side conversations or interrupting before the students have a chance to respond. Please support the students by staying with your group and turning off cell phones. A coatroom is available for use. Museum floor plans may help teachers plan routes through the Museum. For groups traveling to the Museum by bus, the drop off/pick up location is on South University from the westbound lane just before State Street. Groups may enter the Museum through either of the entrances on State Street. This map of the immediate area may help you get oriented. Bus parking is available at Briarwood Mall which can be found by driving south on State Street. We recognize that the need for bus funds is great and in an effort to make our reimbursement dollars go farther we are offering a reimbursement up to the maximum charged by your school district, but not to exceed $100 per bus, per visit for docent led tours. In order to allow as many schools as possible to take advantage of this, we will offer a total reimbursement of $300 per school, per year. Be sure to request bus reimbursement funds when scheduling a docent tour with the Museum of Art. Bus reimbursement is not available for self-guided groups. Please follow these easy steps to receive payment. Be sure to request bus reimbursement funds when scheduling a docent tour with the Museum of Art. Follow your district’s procedure to schedule a bus as soon as you have made arrangements for a docent tour. When the tour is completed, submit an invoice from your transportation department along with a letter on your school letterhead to the Museum requesting reimbursement for the trip. You must include: the school's name and complete address, the teacher's name, the grade level, the date of the planned trip and the school tax ID number. Your request must be received within three months of the tour date to receive payment. The University will send your school a check in 6 to 8 weeks of receipt of your invoice. We look forward to seeing you and your class at the Museum of Art. To schedule a tour or visit please click here. You will find space at the end of the request form to provide additional information about your request or ask questions. 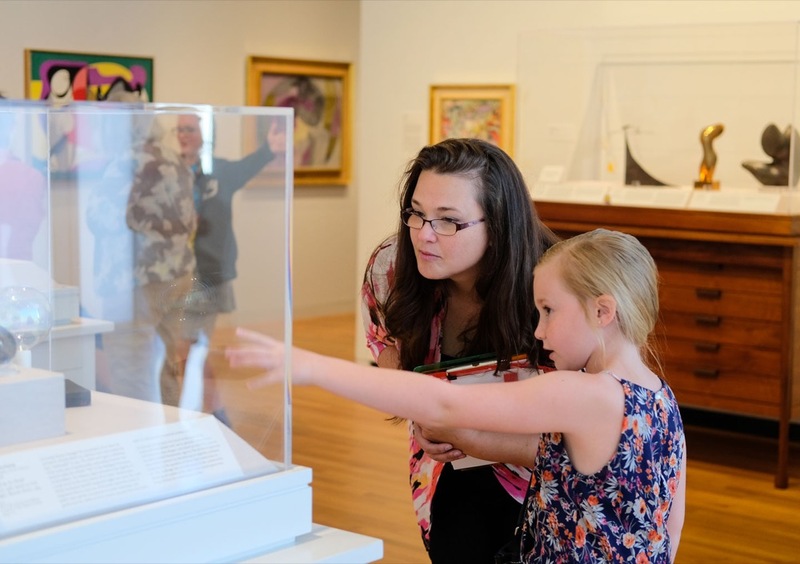 We ask every teacher to review the Museum Visit Guidelines before bringing a class to the museum.You may also wish to get information on special exhibitions or check out UMMA’s public programs prior to your visit. UMMA also offers professional development in the form of teacher workshops several times a year. Let our staff work with you to create a custom tour with lasting impact. "I had chills when I saw these pieces. Integrating arts experiences into the core content areas, and getting off campus to see art really, truly does get into their hearts and minds and enriches their worlds. Thank you to the docents, for helping to make these experiences possible!"